Those who want to find a cheap country to retire to have a wide variety of options. Many countries are less expensive than the US to live in, so you just have to choose which one suits you best. There are pros and cons to all of the different countries you could choose. One option worth considering for those who don’t need to have a lavish lifestyle is Nepal. In Nepal, you can live in the capital, Kathmandu, for about $200 per person per month if you want to budget your money, or be very comfortable on about $500 per month. This is very inexpensive. People tend to eat rice, lentils, beans, and fruits and vegetables a lot. This is a poor country, so you won’t find all of the amenities you might be used to. There is no sewage treatment available, and water is usually pumped from large collection wells. You will probably want to buy some type of imported heater to keep your home warm during the colder months. If you want more than one phone line you will have to be on a many years long waiting list or pay a large bribe to get to the head of the list. There aren’t a huge number of expats, many of those who are there work on the foreign aid projects that are being constructed. As for the weather, Kathmandu is at a relatively high elevation. This means it isn’t one of the places where it is always warm. It doesn’t usually reach freezing often, however, and you also will be kept plenty cool by a fan for the most part during the summer. The weather is a bit more temperate. However, there is a monsoon season of about a month, and winter does get a bit cold. There are a number of restaurants and other businesses in Kathmandu that now cater to Westerners, and you will want to use these for the most part since they have similar ideas about cleanliness and food, for example. Although there is some civil strife in Nepal, and the government is continually changing, this doesn’t really affect the daily life in this country much, especially for tourists and expats. The main problems that occur are the transportation strikes that are common. Many people would like to make their retirement dollars stretch a bit further by finding a cheap country to retire to. There are all sorts of options available, depending on your requirements. One of these is Indonesia. It is possible to retire to Indonesia, and to eventually get a retirement visa, providing that you meet the minimum qualifications. You need to have an income of at least $1,500 per month, you need to hire an Indonesian maid, you need to either purchase or rent a home of a certain value, depending on where you stay, and you need to have health, death, and personal liability insurance. You cannot work while on these visas. You also must be at least 55 years old. As foreigners cannot own land in Indonesia, it is not really possible to purchase a home, although legally they are allowed to purchase a home. It is probably better to rent until all the legal issues get straightened out. If you are in Indonesia for more than 183 days a year you need to pay income tax of 35 percent for incomes over $20,000. This is true even if you are not working in Indonesia. This will cut into your retirement funds a bit. There is medical care available in Indonesia, though it is not necessarily up to the standards that you are used to. You can get your basic care through one of the group practice medical groups that are available, but more specialized care usually requires a trip to the referral hospitals in Singapore or Australia. While the weather is generally warm in Indonesia, keep in mind that they do have monsoon season there. It will be very rainy, and you will need to make sure to take precautions so that your home is protected from the rain. However, Indonesia is a cheap place to retire to. You will be expected to have a maid, as most people do, so you won’t have to worry about cleaning or cooking. You will probably want to live in one of the larger cities so that you will have more of the amenities you are used to, even though they aren’t as picturesque as some of the more rural locations. Those who would like to find a cheap country to retire to should definitely check out Honduras. Not only is it only a two hour flight from the US, so that visiting friends and relatives will be easy, but it is also a lot less expensive to live there. One good thing about Honduras as a cheap place to retire to is the fact that they allow foreigners to buy property. This means you can buy yourself a nice home and not have to rent like you would in some of the other inexpensive places where you could retire. Once you have your home, you will be able to afford to have a maid so that you don’t have to deal with the cooking and cleaning, as it doesn’t cost much to hire someone for this. Honduras also has laws that help to protect the environment, so that there won’t be any large developments or high rises that will destroy the view, and the rain forest will be there for everyone to enjoy. It has the warm weather that many retirees prefer also. As we age, we tend to have more medical problems, so most retirees would like to live somewhere that has good health care. Honduras has a number of high quality hospitals that are staffed with doctors that were mostly trained in the US, so you don’t have to worry about not getting good health care in this country. The infrastructure is also pretty good. They have a stretch of the Pan-American Highway. You can also get good phone service, with the option of land lines, cell phones, VOIP, and satellite phones. They even have satellite, DSL, and dial-up internet connections so you can easily keep in touch with your friends and family and with what is going on in the world. The banking system is also stable, and many banks have connections to banks in the U.S. so it is easy to get wire transfers should you need to. There are all sorts of opportunities for things to do in Honduras, so you don’t have to worry about being bored during if you choose this cheap country to retire to. There are all sorts of outdoor activities you can participate in to stay active, as well as many cultural opportunities. When it comes to finding a cheap country to retire you, you might want to consider some of the many options in Asia. These countries are typically relatively inexpensive to live in, and they feature the warm weather that many people prefer throughout the year. One of the countries that many are considering these days is Laos. 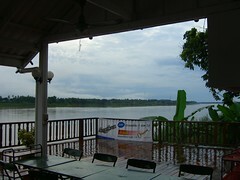 One of the benefits of choosing Laos as a cheap country to retire to is the fact that it is so inexpensive. You can rent a home starting at around $100 per month, and cover all your expenses with a few hundred dollars a month if you need to. Unfortunately, foreigners are not allowed to own property, even if they are married to a citizen of Laos. Most foreigners who retire in Laos do so in the capital city of Vientiane. This is a good option for those who prefer the simple life since there aren’t a lot of amenities available, or a lot of imported products. There also aren’t any good medical facilities. However, those who want access to these things can cross the border into Thailand, where the nearby city of Nongkhai can meet these needs. Crossing the border can be done easily with the purchase of a tourist visa that lasts one month. Foreigners have a number of different options when it comes to visas. If you want to retire permanently to Laos you can get an immigrant visa, but then you will need to apply for exit permits whenever you leave. Other options include long term business visas, which require the help of a company that can employ you as a consultant, or tourist visas each month (which will quickly fill up your passport). There aren’t a lot of options for entertainment in Laos, although there is a movie theater, bowling alleys, shops and restaurants. The main foreigners are those expats that are employed by NGOs and those employed by embassies and development projects. It would be wise to cultivate some local friendships with citizens of Laos. You will also need to keep in mind that people tend to be very conservative, and make note of the cultural differences that exist so that you don’t offend people. It is illegal for a foreign man to cohabit with a Lao lady that he is not married to, so relationships with local women need to be handled very carefully. You can explore more about what makes Laos a cheap place to retire around the world. These days people are finding that their retirement dollars do not necessarily go very far in the United States, so they are looking for a cheap country to retire to where they will be able to get more for their money. One option for a cheap country to retire to is India. One of the drawbacks to retiring in India is the fact that they don’t have dual citizenship or a visa that can be used to retire full time to the country. You would only be able to stay six months at a time. This is great for people who want to spend part of the year in the US, and the rest of the time in a cheap country to retire to though. Non resident Indians can apply for Overseas Citizenship of India so that they can retire to India permanently, however. However, overall India is a cheap place and country to retire to. Once you get to India the cost of living is very low. There is also good medical care that isn’t expensive, as evidenced by the number of people who go to India for medical tourism. There are good communication and housing facilities as well, especially if you decide to retire in one of the major cities. You will have better access to services in these cities, although you will also have to deal with larger populations, which means more crowding and traffic. In general, the weather is nice and warm in India, and there are lots of places you can retire to that are near beaches if this is a requirement for you. There are even retirement homes being opened in India these days, though they are not very common yet. Most people in India have no problems with foreigners, but it is best if you make an effort to understand the culture (and a bit of the language as well) and to fit in. If you are going to spend a lot of time here it is worth the effort. There are a lot of foreign expats so you will be able to find places that cater to those from the US, and people from your own country to socialize with from time to time. Many people also understand and speak English, especially in the larger cities. There are many people who would like to move to another country upon retirement, but selecting the best place to live is often a difficult choice. While you may be able to locate several places that offer the same standard of living at a much cheaper rate, there may be other factors that weigh heavily on your decision. You will want to take a look at the cost of living within the country as well as the weather conditions, prior to deciding to move upon retirement. Although there are many choices, one of the top places to move is Venezuela, a cheap country to retire. When taking a look at the overall cost of living within the country of Venezuela, it is found that it is about 50% of the cost of living in the New York City area. Many factors go into this cost, including the price of food, the cost of housing, and transportation. While the price of food and the selection within the supermarkets are about the same as within the United States, the cost of housing is about 60% less than it is in New York City. Transportation is generally much less expensive as the cost of a liter of fuel remains at $0.12 in this oil-rich country. Although the price of a car is often much more expensive than it is in the United States, the minimal amount of required insurance is often very cheap. Venezuela is often considered a cheap place to retire because it is a poor country with the average monthly salary being at $800. Many Americans who have moved to this country have found that they can make a substantial amount of income by owning their own business. The taxes on the income for non-residents, however, is very high at a flat rate of 34%. Health care may also be a factor in the consideration of retiring to Venezuela. There are many private hospitals and doctors that are reasonably priced, but it is best to stay away from the public hospitals that are considered to be unacceptable by most foreigners. Many of those who are considering Venezuela are enticed by the excellent weather conditions. Within Margarita Island, the most popular region of Venezuela, the temperature does not stray far from 80 degrees year round. With little precipitation and low humidity, the country is far enough away from the hurricane zone to make it an enjoyable place to live. Since Americans are welcomed by both the government and many of the people because of the economic improvements they often bring along, this can be an excellent place to live upon retirement. For many years now, Panama has been consistently included in the list of best places for retirement. There is no question about this since it is strategically located in Central America bordering both the beautiful Caribbean Sea and the breathtaking Pacific Ocean. Panama boasts of having the finest beaches and many other scenic places that attract not only tourists but retirees as well. But now Panama is being promoted not only as one of the finest retirement havens but one of the cheap places to retire. Because of Panama’s geography, its economy mostly relies on tourism and commerce. Tourism, especially, plays a big role in keeping this country afloat despite political turmoils. As a way of further improving its tourism industry, Panama offers very affordable vacation packages and now, retirement deals for those who want to live here for good, especially the middle class who want the cheap places to retire, more than anything else. The most affordable beachfront lots are in Panama-and this is no ordinary beachfront. These are what you see on most travel magazines-or even better. If you love the warm tropical climate and want to see powdery-white beaches stretching along dazzling blue waters of the Caribbean or Pacific, mystical coves, bright-colored fishing boats and flowers, a lot of greeneries, several species of birds and many other exciting sights, come to Panama. Aside from being one of the cheap places to retire, it has the loveliest sights you have always longed to behold. One world-class city in Panama is Boho-chic Casco Viejo, considered as the oldest European settlement in the Pacific Coast. Here the local government strongly promotes the place as one of the cheap places to retire and world-class tourist destination by giving tax exceptions and other deals to visitors, investors and immigrants who want to settle here permanently. Houses and buildings are offered in very low prices to encourage foreigners help the local government preserve or renovate old and historic places. However as one of the most sophisticated cities of Panama, you can find here a very finely equipped two-bedroom condo unit with an inspiring view of the city skyline at about $141,000. This already cheap compared to other top tourist destinations in major U.S. Cities as well as in Europe, though. If you want a less chic and urbanized way of life, you can go away from the city and find very cheap lots that sell for only about $20,000. Bocas del Toro has these very affordable lots, making it one of the cheap places to retire. This place is not yet fully developed, that is why almost everything here is offered at very low cost; however, this doesn’t mean that it’s not worth seeing. Wherever you go in Panama, you are assured to find pleasure in seeing most picturesque places on Earth. Also a lot of pensioners and retirees consider Panama as one of the cheap places to retire because the government offers a lot of discounts on basic commodities from food, to transportation and medication. Even movies, theaters, concerts and sporting events have discounts. Form Monday through Thursday, for example, tourists can enjoy 50 % discounts in some hotels and from Friday through Sunday, you can enjoy 30% discount. If you happen to be hospitalized, don’t worry, because Panama offers 15% discounts for tourists. Loan homes are also provided, making Panama indeed one of the cheap places to retire in the world. Panama passed Law No. 8 of June 14, 1994-the most modern and comprehensive law for the promotion of tourism investment in Latin America and the Caribbean. Law 8 offers incentives such as 20-year exemptions from import duties, fees for construction materials and equipment, and income, real estate, and other taxes. This certainly attracts thousands of tourists and retirees who are looking not only for beautiful places to visit but most especially, for cheap places to retire. Furthermore, what makes Panama one of the cheap places to retire is it uses U.S dollar as its legal tender. Panama has been using this as their currency since 1904; however, they call it Balboa for nationalistic reasons. Because of this, currency exchange risks is prevented. Also, this makes Panama’s economy one of the healthiest in Latin America. But even if you are not looking for cheap places to retire, Panama has a lot to offer-things that even surpass your standards of a top tourist destination and excellent retirement destination. The tropical weather is perfect, economy is very progressive and stable, banking laws are very favorable, and geography is diverse. Whether you are looking for the cheap places to retire or the best place for retirement, Panama confidently passes world-class standards and of course, your own. Here’s a hint: imagine yourself somewhere in the American East Coast one hundred years ago, that’s how it feels to be in this special province of Nova Scotia. Nova Scotia, which literally means “New Scotland,” has frequently emerged in the list of best places for retirement because of its natural wonders. But more than that, this second smallest and one of the wealthiest Atlantic provinces of Canada is one of the cheap places to retire. The province is on east of Maine and is only about two hours from New York or Boston. It’s very accessible that’s why most Americans and other tourists opt to go to this beautiful peninsula. Its mainland is connected to North America by the Isthmus of Chignecto and is surrounded by several bays and rivers. On the eastern and southern part of Nova Scotia is the Atlantic Ocean. It is said that no part in Nova Scotia is farther than 56 km from the sea, so for those who love fresh and cool Atlantic air and the sight of the ocean, Nova Scotia is truly a wondrous place where you can spend your retirement. What’s greater is that cost of living in Nova Scotia remained low in spite its being a wealthy province. The per capita income in Nova Scotia is just over $30,000 and you can save the 40% of that without being too thrifty. Going here means a lot of savings but definitely, a lot of fun too. It’s an affordable getaway for thousands of tourists from across the globe—why not a perfect haven for expatriates? Apart from being one of the cheap places to retire, it’s one of the most alluring places where you can fully enjoy the fruits of your labor. Also, one of the reasons why it is considered as one of the cheap places to retire, is its cheap real estate. Oceanfront lots are priced about $10,000 while three-bedroom homes on acreage are sold at about $50,000. Food is also very cheap; you can have a fine dinner with lobster and tasteful local wine for less than $20. Long before Nova Scotia has been widely known as one of the cheap places to retire, it has already been a favorite retreat destination of English, Scots and Irish. Most of the inhabitants here are of British origin. They were either descendants of the immigrants from the American colonies or travelers who directly came from Britain early in the 19th century. The great cultural variety in Nova Scotia shows the variety of people living in this province. There are even Germans, Acadian French, blacks, American Indians and perhaps even Asians scattered along the ocean coasts. Families of those immigrants who still live in their home countries are probably thinking of living here for good too. Now as it is being promoted as one of the cheap places to retire, no wonder many people from other countries and other provinces in Canada as well would be heading to Nova Scotia to settle there for good. Despite modernity, Nova Scotia has well preserved its pristine beauty. Picturesque sceneries and historical sites abound in Canada, specifically Nova Scotia so over a million of tourists visit the place, especially during summer when climate is pleasantly warm. Being one of the most affordable tourist destinations and now, one of the cheap places to retire, foreigners are encouraged to go to here. Splendid scenery of the ocean and forests made up of evergreen coniferous trees—fir, spruce, hemlock, and pine—attract the most number of tourists and retirees alike to come to Canada’s perfect retirement haven. Nova Scotia may be the most populous of all the Canadian provinces, but it’s not as crowded as most U.S. cities are. A lot of Americans visit here and eventually decide to live here permanently not only because its one of cheap places to retire, but it’s so near United States; thus, it is easier to visit relatives back home. In just a couple of hours, you’d be in a totally different world—a heaven-like world—or back to your homeland. Among the best places to visit in Nova Scotia are: Alexander Graham Bell Museum National Historic Park, Fort Anne National Historic Park, Fortress of Louisbourg National Historical Park, and Halifax Citadel National Historic Park. All these offer breathtaking sceneries and have great historical relevance, not only to the people of Canada but all over the world. The Graham Bell Museum for one features the inventions of Graham Bell, including the telephone. Now here’s a trivia: Demi Moore, Jack Nicholson and Billy Joel own summer houses here. Yes, these celebrities are all enticed by Nova Scotia’s beauty. Aside from being one of the cheap places to retire, Nova Scotia is truly gifted with heavenly sceneries that afford you a home away from home and a heaven on earth. Being in between two great bodies of water, the Pacific Ocean and the Caribbean Sea, Nicaragua is no doubt a magnificent tourist attraction. It is rich with rugged mountains, lush forests, fascinating lakes and large rivers, pristine powdery white coastal beaches, tiny tropical islands, and majestic extinct and active volcanoes that will leave you breathless and make you long to come back—and yes—live here for good. In recent years, Nicaragua constantly appears in the list of top tourist destinations in the world primarily because of its fantastic natural sceneries and wide range of places of interest. And now, Nicaragua opens its doors to foreigners who are seeking for permanent residence for their retirement. In few more years, Nicaragua would surely be topping the list of best places for adventure and retirement. It may not be the best of the best just yet; but rest assured, Nicaragua’s one of the cheap places to retire. Nicaragua’s name comes from the Nicarao, the tribe that inhabited the place before the Spaniards came to colonize it; and the Spanish word “agua,” which refer to the two major lakes in the country, the Lago Managua and the Lago Nicaragua. Several lakes and volcanoes can be found in Nicaragua; thus, it is also called as the “land of lakes and volcanoes.” Many come to Nicaragua because of these, but since Nicaragua is the largest country in the Central America and has relatively small population, a lot of travelers decide to settle here. The government of Nicaragua highly encourages foreigners to spend their retirement years in the country. As part of their efforts in promoting it as one of the cheap places to retire, expatriates and foreign retirees are not required to pay taxes for out-of-country income, import household goods and vehicles. Consumer goods and basic commodities offered in several stores and shopping centers in the country are priced just right, so it’s practical to live here. Still a big portion of Nicaragua is still highly forested and there are still many unexplored terrains, rainforests and many other exotic places perfect for adventure. More than just being one of the cheap places to retire, Nicaragua is one of the most exciting places to explore. If you love outdoors, this country can certainly make the rest of your life the most unforgettable. You can enjoy a full body workout by climbing up volcanoes like the famous Mt. Concepción and Mt. Maderas or visit Volcano Mombacho Natural Reserve and be fascinated by the mystic beauty of trees suspended above the ground resembling a canopy. You don’t have to spend much for such natural treasures. Only cheap places to retire like Nicaragua can offer them nearly for free. In the island of Ometepe, you can take delight in numerous beaches that are still untouched by development but their beauty beckons and you cannot just resist. Being undeveloped, these spectacular beaches are far below the price of comparable first-class tropical beach resorts. Lots near the beaches are sold as low as $22,000—this is a very generous deal for someone like you who’d go for cheap places to retire. For ages, Nicaragua suffered a lot from civil wars, foreign invasions, dictatorships and in 1972, from a damaging earthquake but Nicaragua has gradually stood up from where it had fallen and now it’s resolute in heading towards a fully developed nation. While it is still in its initial stages, cost of living here is still very affordable, which is very favorable for those looking for cheap places to retire. As one of the cheap places to retire, Nicaragua appeals mostly to middle class and simply for those who just want a change of atmosphere and lifestyle—something relaxed and worry-free. Top tourist destinations in Europe might be very tempting and inviting but they are very expensive. For sure you don’t want to live the rest of your life spending extravagantly when you can enjoy it countries like Nicaragua without ruining your financial plan. Now Nicaragua is well-prepared to accept full-time retirees from all over the word. The government is working hard to erase misconceptions that it is a dangerous place as a result of different revolutions that took place in this beautiful country. Politics is now stable and there’s an increasing growth of shopping centers, hotels and restaurants since the late 90s. Their efforts to draw more tourists and foreign retirees seem to be fruitful as Nicaragua is now being regarded as one of the best yet cheap places to retire. One of the most promising and cheapest places to retire not just in Southeast Asia but in the whole world is the tropical paradise of the land of Malays, Malaysia. Apart from Thailand, Japan, China and South Korea, Malaysia is a favorite tourist destination in Asia and now it is regarded as an excellent place for retirement because of its low cost of living. Nowadays, the country is being considered as an alternative retirement haven, rivaling other best and cheap places to retire like Canada, France, England, Singapore, New Zealand, Australia, Hong Kong, India, and Taiwan. Many might think of a metropolis full of light and skyscrapers when talking about Malaysia, especially its capital Kuala Lumpur, but this country offers a simple life and a relaxing experience for retirees who want to enjoy their life away from the urban world. Malaysia is a very conducive tropical country for expatriates who love warm, sunny and rainy seasons as well. This cradle of Malay race offers not just the typical grandeur and extravagance of what its cities and those highly recommended localities evidently show, but natural wonders and the very warm atmosphere. Malaysians are very hospitable and friendly, too, that is why a lot of British, American, Australians, Canadians and even other Asians prefer to live here. Based from the accounts of numerous tourists, frequent visitors and immigrants, this booming country in the southeast portion of the biggest continent in the world has the best beaches and breathtaking coastal islands. This is typical of Asia you might say as Malaysia’s own tourism catchphrase “Malaysia, Truly Asia.” But compared to other tropical countries in Asia, Malaysia is downright less expensive; thus, it is adjudged as one of the cheap places to retire. Unlike the luxurious and very expensive cost of living in London, Tokyo, Singapore, Paris, New York, Illinois, as well as those in Northern Ireland, Sydney (as part of their tourism package), Malaysia has remain frugal and in many ways economical in its tourism and other economic endeavors. Just try to weigh and consider the given actual cost of 2-bedroom rental apartments begins at around $225 per month and 3-bedroom houses start at $35,000. While compared to the known mega cities and metropolis, the prices and expenses range from $500 even up to $750 per month or could even higher depending on the seasons and other possible demands or occasions in the place. But of course, comparable housing in expatriate communities or the luxurious homes that date from British colonial period are priced higher. However, again, compared to those in Singapore, London, and the romantic Paris, it is not just considerably cheaper but surprisingly, cheaper. Malaysia offers more than a treat for birthdays, holidays, honeymoons, and of course for a different kind of retirement. If you are looking for cheap places to retire, inexpensive getaway destinations and superb adventure, Malaysia is waiting for you. Malaysia, as the cheapest tropical country to spend one’s retirement, has a very peculiar yet very inviting tropical climate that blends well with its “cheap” package for tourism. Not only that, Malaysia takes pride of rich culture and arts than explicitly show its wide diversity of its people. Malaysia is a melting pot of foreign and indigenous people, so anyone can easily find affinity with Malaysians. Aside from being one of the cheap places to retire, this could influence other retirees to settle here for good. Just like Italy, Greece, Turkey, Morocco, Brazil, California, Cuba, and even Venezuela and Mexico—but comparatively on the same level as neighboring countries like Philippines and Thailand—Malaysia has lot of those highly in-demand fine and long stretches of white beaches, best diving sites, and splendid coconut trees that stand like sentinels guarding the tropic paradise. What’s more interesting is, Malaysians speak English as this is taught early in school and is required among students, although the official language of this country is Malay. Furthermore, transportation in Malaysia is never a problem. You can find here good highways, several international airports, excellent railroads and road systems. Other attractions of Malaysia that make it one of the top tourist destinations, choicest and cheap places to retire are its rivers, forests, elephants, and numerous kinds of butterflies and birds. Nature lovers would surely find a home in this wonderful land of Malays, not just momentarily but forever.